The first event that laid foundation to celebration of Fiji Day is establishment of the colony of Fiji by the United Kingdom. Seru Epenisa Cakobau, the first King of a united Fijian kingdom, ceded Fiji to the United Kingdom on October 10, 1874, but the archipelago officially became the crown colony only on September 1, 1875. The process of decolonization started after World War II. 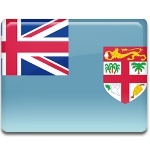 British colonies one by one gained independence, and Fiji was given independence in 1970. Officially Fiji proclaimed its independence on October 10, 1970. Celebration of Fiji Day is a culminating point of Fiji Week. Every year a new theme is chosen to organize festive events. Traditionally celebration of Fiji Day includes religious and cultural ceremonies, that unite the nation and praise its diversity.